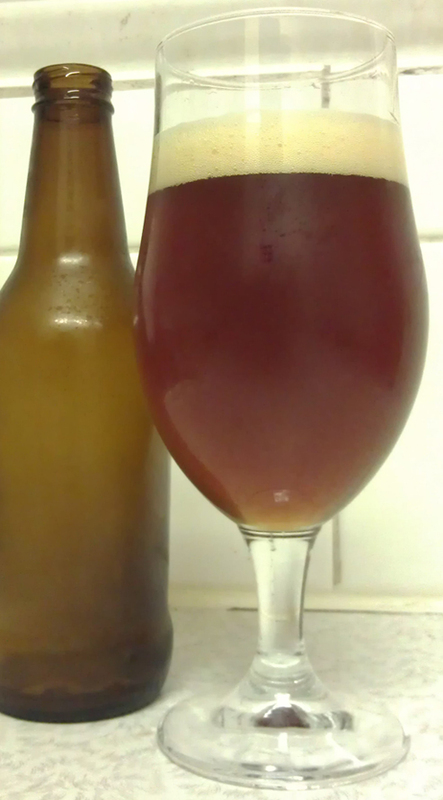 A couple days ago I put up a review of a Pale Ale from a fellow home brewer. The second beer I was able to take home was the Pale Ale IV. There are a few similar traits that the IV has with the III. But, then there’s a whole lot more goodness. Over on Carnie Brews blog, brew 13 lists the ingredients that went in to this brew. There’s a slight change in hops and a wider range of steeped grains. Aroma is similar to the Pale Ale III. Both apricot and earthy aromas are there but the vegetable-ness is barely there. The apricot is a bit tamed back as well. Overall nothing massive on the nose. Flavours is where this all comes together. More body up front and lasting the whole way though. This gives everything else more of a base to work off. Apricot hop flavour comes out a bit and rounds out nicely. Not the same dryness of the previous version at all. Does still have a slight tart end to it. This beer is definitely a step up on the last version. Seams to be balanced a lot more and easier to drink. While being strong in alcohol you can’t really notice, other than the bigger body. This is the sort of beer that says ‘yes, you can add more things and make it better’. Food matching, this would go well with a lot of things. Any good pub meal or take away from your local fast food joint. Equally would work with any weeknight home cooked meal.